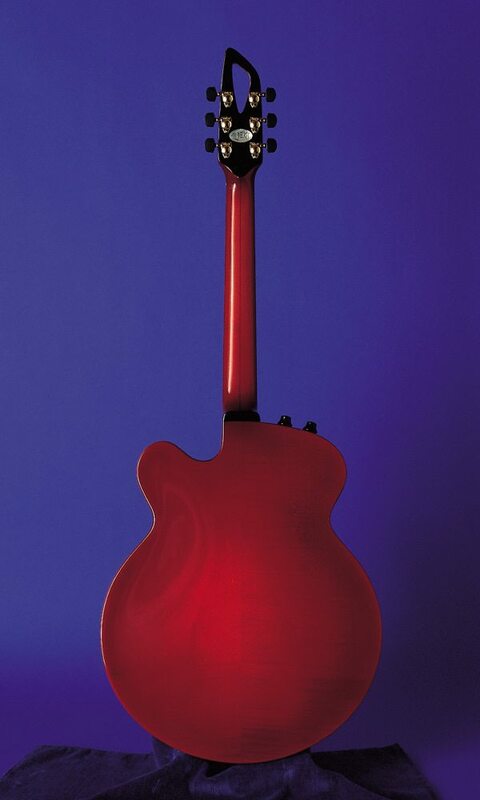 The combination of JM2’s 17 inch body and the perfectly arched top and back, result in a guitar of exceptional balance. Like the JM1, the 24 fret neck, 16 of which are clear of the body, allow the player to hit even the highest notes with great ease. 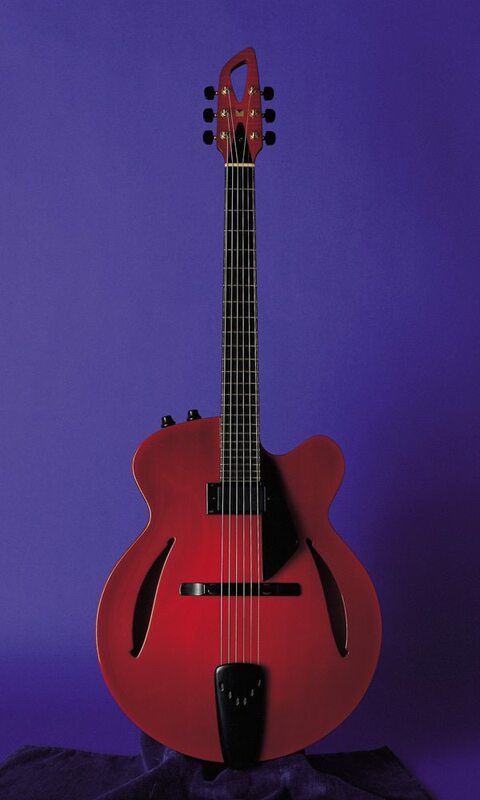 The shape and position of the soundholes, as well as the depth of the body, are variable which allow for a huge variety of tonal possibilities. A floating pickup or top mounted humbucker with volume and tone controls are available as options.